Eugenie Bouchard is the greatest female tennis player in Canadian history. She has made international headlines for her amazing tennis skills. But these days, her press isn’t about success on the tennis court. Rather, it’s about her battling her head injury and concussion symptoms off the court. Those symptoms have become so serious, that Genie has needed to retain a personal injury lawyer to make sure that she gets the compensation she deserves. I imagine she didn’t want to go this route, but that just goes to show the severity of her injuries. This week, lawyers in the US Federal Court-Brooklyn, filed a law suit against the United States Tennis Association (USTA). The USTA is the body which organizes and runs the US Open; one of the four grand slam tennis tournaments held in a season. The US Open is held in Queens, New York, and is arguably the most prestigious tennis tournament in the world. Others would argue the most prestigious tennis tournament is Wimbeldon; but I’m a big US Open fan. I like it when players get to wear something other than white on the Court, and get to show off their personalities without being penalized for it. I also LOVE US Open night matches that stretch in long in to the evening. There’s also nothing better than all of the celebrities that come out to watch US OPEN games. There’s no better beacon or stage for tennis than the US Open. At this year’s US Open, on around September 4, 2015, Genie had just finished a mixed doubles match. She returned to the women’s locker room, and entered the treatment/physiotherapy area. It might have been dark, and the lights may have been off. As Genie was walking in the training/physio area, she slipped and fell; thereby slamming her head and sustained a concussion/brain injury. If it could happen to Genie; it can happen to you! Genie tried playing in her singles match the following day, but she was not able to compete. If you will recall, she attended the US Open grounds wearing dark sunglasses, with a hoodie draped over her head. This wasn’t a good sign. As a result of failing to compete in the Open, she lost out on significant prize money, and international exposure. In a subsequent tournament, she was also forced to withdraw as a result of head injury symptoms. The filing of this law suit has drawn international attention. Let’s face it; this is a big story. It’s possibly the highest profile slip and fall case I’ve ever seen because of the parties involved, the place the fell occurred (the US OPEN), along with the potential damages at stake as a consequence of the fall. Here’s the eye opener for all of the every day readers of the Toronto Injury Lawyer Blog. Genie Bouchard is a finely tuned professional athlete, with access to the best rehabiliation and medical treatment that money can buy. She wasn’t hit by a car at high speeds; nor was she involved in a high impact type of collision from heights or at great speed. For all intents and purposes, this is an ordinary slip and fall claim; which deals with extraordinary people in a extraordinary setting. If Genie is having such bad brain injury symptoms such that she has needed to withdrawn from competing in open tennis matches; then imagine what a brain injury can do to an ordinary everyday person who doesn’t have access to the same medical resources as Genie! We shouldn’t be surprised. Genie is NOT the first professional athlete to have sustained a concussion/brain injury. The greatest hockey player post Wayne Gretzky is Sidney Crosby. Sid took one too many bumps to the head which caused him to miss over an ENTIRE season of NHL hockey. Sid was reported as having headaches, dizziness, and a feeling of being dazed (like being outside of your own body). These symptoms are VERY common after sustaining a concussion. There is no quick fix for this type of injury. No magical pills or treatment other than time get the concussion better. And you’ve sustained one concussion, you’re at high risk for sustaining subsequent concussions with even greater consequence. Just ask Eric Lindross who had to cut his prolific NHL career short on account of brain injury. These pro athletes are multi millionaires. They aren’t starving for cash. Their financial worries are far less than your average Joe or Jane. If they can take a few days off, they will. Your ordinary person is likely NOT in the same financial position as these pro athletes. Missing work on account of a concussion may be out of the question. These people may go to work, against their doctors orders. Our law firm sees this all the time. If people don’t work, they don’t eat and they’re on the street. What other choice do they have other than work through the pain and fogginess. If pro athletes like Eric Lindross, Sidney Crosby and now Eugenie Bouchard have needed to miss work (playing sports); thereby forfeiting millions of dollars in doing so; then you have to realize that brain injury and concussions are the real deal which shouldn’t be messed around with. I don’t think Genie wanted to sue the USTA. It’s the sort of press that I imagine she doesn’t want. I suspect she would rather be on Court, playing and winning (while making lots in prize money in doing so). The fact that she has needed to retain a personal injury lawyer to pursue this claim should be another indicator as to just how serious brain injury and concussions are. What’s even more difficult about concussions is that the evidence of a concussions doesn’t show up on any x-ray or CT scan. There are no casts or band aids for concussion. Just by looking at a person, you can’t tell that they’re suffering from concussive symptoms. These sort of injuries are never easy to prove in Court. Enough law talk? Sure. Congrats to the Toronto Blue Jays on advancing to the American League Championship in one of the strangest baseball games EVER played. 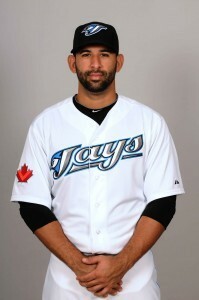 Joey Bats! Wow! Talk about stepping up! Each team needed their own lawyers in their respective dugouts in order to interpret all of the odd ball rules which were in play during that game. From the ejections, to the weird third run scored by Texas, to the challenge on a slide at home plate from Dalton Pompey; that game needed its own legal team to go along with all of the star power on the field. Lost in all the celebration was that Toronto’s professional soccer team qualified for the playoffs for the FIRST TIME IN THEIR 9 YEAR HISTORY. This is significant because I had given up all hope in Toronto’s soccer team. I went to a game this season and it was so terrible that I vouched never to return again. But if this team is now in the playoffs, then they will be hard to ignore. Well done!